The iPhone is among the biggest hit consumer electronics and cell phone products ever and, as a result, everyone wants one. Given that, the question is not whether to buy, but where? Sure, you can go directly to the source and buy an iPhone from Apple's online or retail stores, but you have lots of other choices about where to buy your iPhone. Here's a list of the major places to buy an iPhone in the U.S.
Don't buy an iPhone until you know what the feature has in store for upcoming models. Get all the latest rumors about upcoming iPhones here. Of course the world's largest retailer can sell you the world's most popular phone. How could it not? Because it's partnered with any carrier, all iPhones you buy from Amazon come unlocked, meaning you can use them with any carrier. Shop iPhone at Amazon. You can, of course, purchase an iPhone at any of Apple's nearly-500 retail stores across the globe. The Apple Store will be equipped to sell you an iPhone and activate the phone service that is required to use the iPhone (you can do that at most other stores, too). Plus, you can get lots of great accessories. Visit the list of Apple Stores to find the one closest to you or buy it online. With over 2,200 AT&T stores in the U.S., AT&T stores are more widely spread than Apple stores. These stores sell iPhones that work on the AT&T network (big surprise, right?) and activate them on site. Use AT&T's store finder to locate the closest AT&T to you or visit AT&T's online store. While each major phone company has their own official stores, there are also lots of companies that resell phones and service for multiple carriers. These authorized resellers can be good locations to buy the iPhone. Not every authorized reseller location will have the iPhone, but don't ignore these businesses just because they're not carrier-owned. In 2008, Best Buy became the first major retailer besides Apple and AT&T to be authorized to sell the iPhone. Though you won't find big discounts or sales here, Best Buy does occasionally run promotions that increase value and sells used iPhones at a discount. 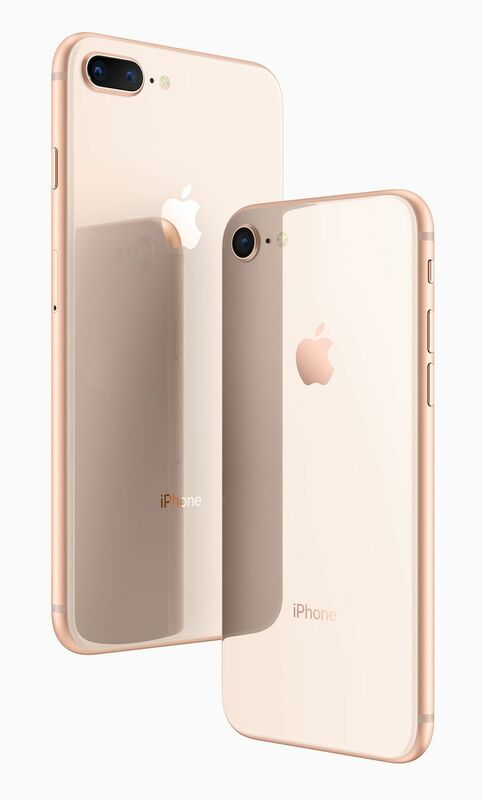 The iPhone is also available through a number of pre-paid phone companies in the U.S., including Boost Mobile, Cricket, Straight Talk, and Virgin. There are some trade-offs with pre-paid companies, but if you're willing to make them, you'll probably save some money on your monthly bill compared to the major phone companies. Learn more about pre-paid carriers, their pricing, and where to buy. As with the pre-paid carriers, these smaller phone companies offer options that the major providers don't: in this case, service to rural and remote areas. Phone prices are roughly the same as the major carriers, though monthly plans differ. Check out this list of regional carriers who offer the iPhone to see if there's one in your area. Now that the U.S.'s third-largest mobile phone company is offering the iPhone, you'll be able to buy that phone in its retail stores, too. Find your closest Sprint location. Another major big-box retailer that's in on the iPhone business. You can buy an iPhone and service plan from AT&T, Sprint, Verizon, or Virgin at its nearly 1,700 U.S. stores. Target only sells the iPhone in store, though, so while you can learn about it online, you'll have to head into a store to buy it. Find your closest Target. The last of the four major U.S. phone companies started carrying the iPhone in 2013. As a result, you can now buy all current iPhone models at T-Mobile's retail and online stores. Find your closest T-Mobile store. The U.S.'s biggest cell phone company began selling the iPhone at its retail stores on Feb. 10, 2011. Find your closest store. The world's largest retailer began selling the iPhone in 2009 and now offers the hardware along with the Straight Talk prepaid service. Occasionally, Wal-Mart offers discounts on iPhones that you won't see elsewhere. Find your local Wal-Mart here. Its sibling company, Sam's Club, also offers the iPhone. As with almost anything else you're looking to buy, Craigslist and eBay can generally help you out. Buyer beware, though. Make sure you know what you’re buying, are buying from a highly rated dealer (on eBay, at least. Craigslist offers no ratings) and make smart purchases. Be wary of deals that seem too good to be true, and make sure you're buying a new unit (unless you're looking for used), or you could end up out money and with a subpar phone. Most of the websites that buy and sell used iPods also buy and sell used iPhones. Shop around on these sites for the lowest prices. And even though quality is generally very good here, remember that these phones will be used and sometimes without warranty. As always, you'll need to activate through Apple or a phone company.